This is a 10 year old single malt and is the entry level whisky of the Soleo collection, a series which focusses on the drying process used on grapes to make sherry. Each whisky in the series has a different colour label, each reflecting a different stage of the grapes' maturation. Taste Hints of vanilla, oak, dried fruits, apricots and shortbread biscuits. As the name suggests this has been matured in sherry casks. Expect rich flavours of dried fruits, ca.. Created by John Ramsay the distillery's Malt Master. This is a fine Speyside whisky that is quit.. 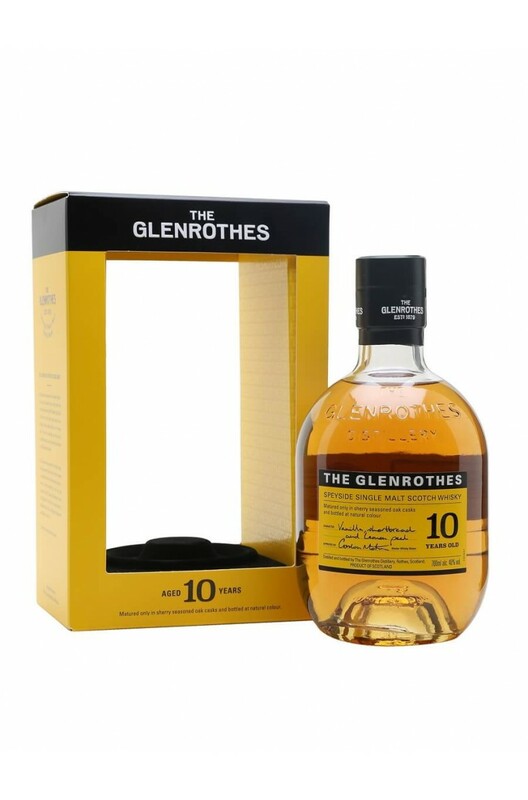 Entirely aged in Sherry casks, the Glenrothes 12 Year Old is part of the Soleo series which pay..